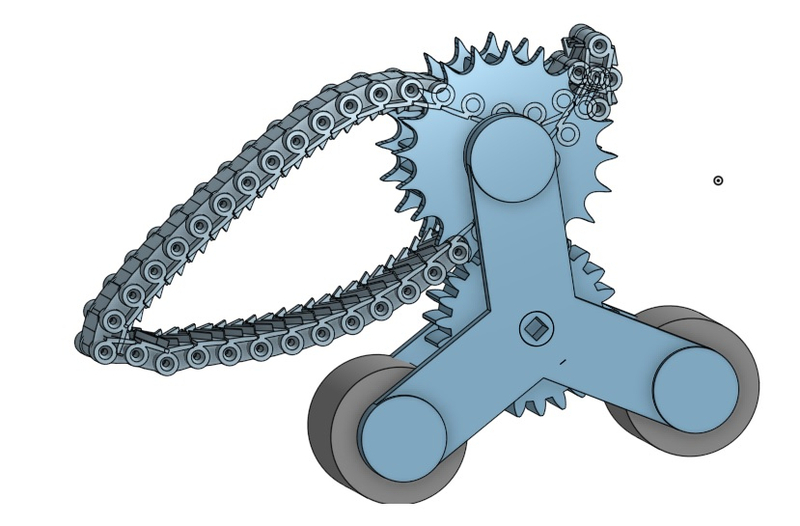 how can put chain on gear? i try to find way how can i put chain on gears. chain have 45 parts. how can add mate between 1 and 45 parts? I would make that in a part studio with Curve pattern. then insert them into the assembly, then use group mate to lock them in. Or instead of separate pieces of chain, you could boolean union them together in the part studio, then insert into the assembly as a single part. (would be better for performance.